The ideal first animal picture book for babies and toddlers. Build little ones' vocabulary with 100 important animals, all with bold photographs and beautiful illustrations. Bright and colourful themed pages cover pets, farm animals, big beasts, cute baby animals, and animal colours and patterns. 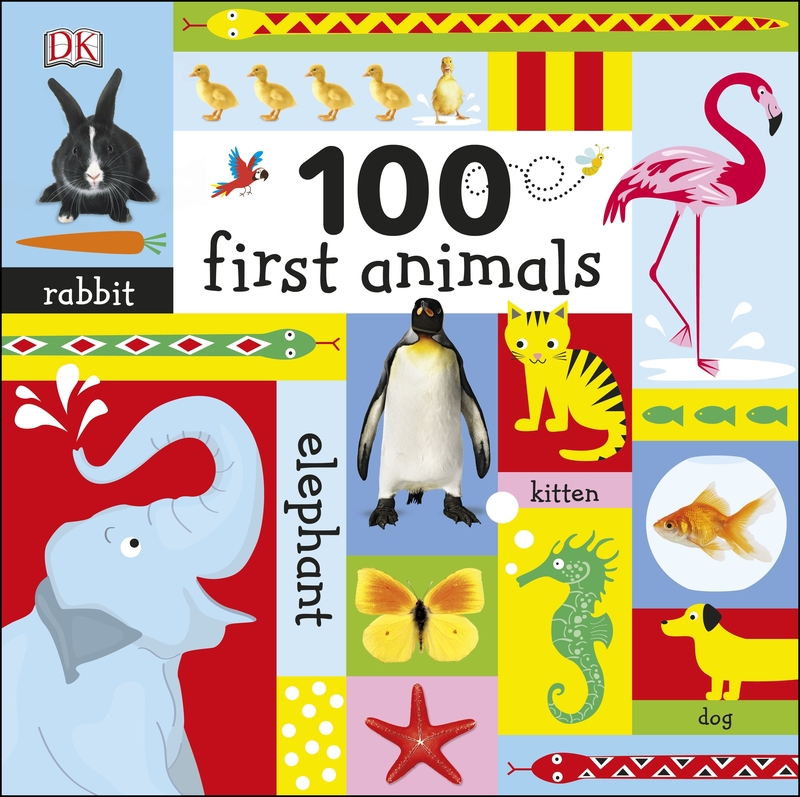 100 First Animals is a large board book with a padded cover and makes an ideal first gift for babies. Crystal-clear photos show the wonder of the animal world, while engaging illustrations tell simple stories that stimulate talking, from a swan with her cygnets to a fish being chased by a smiley shark! Word labels encourage pointing, naming, and picture-and-word association. Cleverly designed to inform and entertain, 100 First Animals makes learning an exciting adventure for your baby. Love 100 First Animals? Subscribe to Read More to find out about similar books.